Matar Paneer is a very delicious vegetable mostly on restro and hotels you order this vegetable. 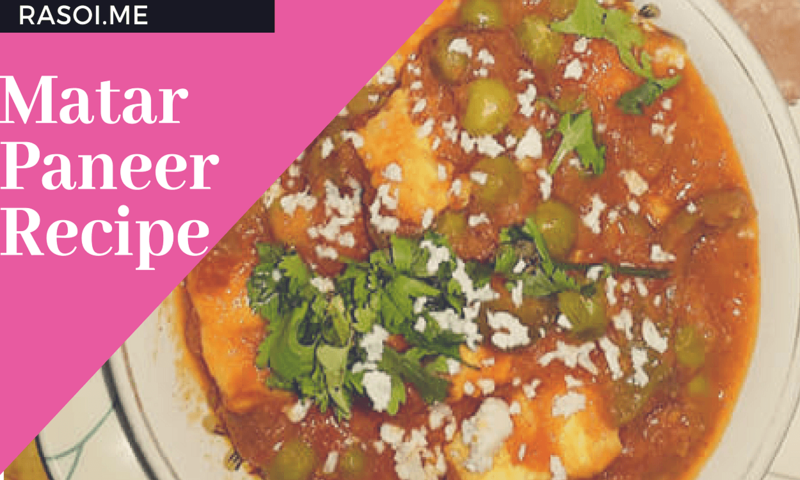 why not try it at home Restaurant style Matar Paneer Vegetable recipe at home it is delicious and healthy and easy to make it at home by watching this video must like share and subscribe my channel today for more tasty homecooked recipes . STEP 1- We start to make this Matar Paneer vegetable take 200 gm Matar and boil them in a pressure cooker and Matar is boiled than we start to make that. Heat oil in the kadhai add 2 onion and green chilies paste. Saute onion paste for 5 minutes on medium flame. STEP 2- Add the Red chillies powder, Turmeric powder, Coriander Powder and salt mix it well. Add tomatoes paste as shown in the video and then add half cup water Saute this gravy for 5 minutes . STEP 3- Gravy is ready than we add Matar in Gravy saute it with gravy and on the medium flame as shown in the video. In 10 minutes it's completely ready than we garnish with butter and coriander leafs. Sweet corn Vegetable is ready to Serve with Bread, Butter Roti or Naan and Rice. STEP 4- Gravy is ready than we add Matar in Gravy saute it with gravy and on the medium flame as shown in the video. then it leave oil and gravy is thick we add Kitchen king masala or Garam Masala. Then we add paneer and saute is slowly with spoon. Add half cup milk and cover it for 10-15 minutes. No Replies to "Matar Paneer Recipe"